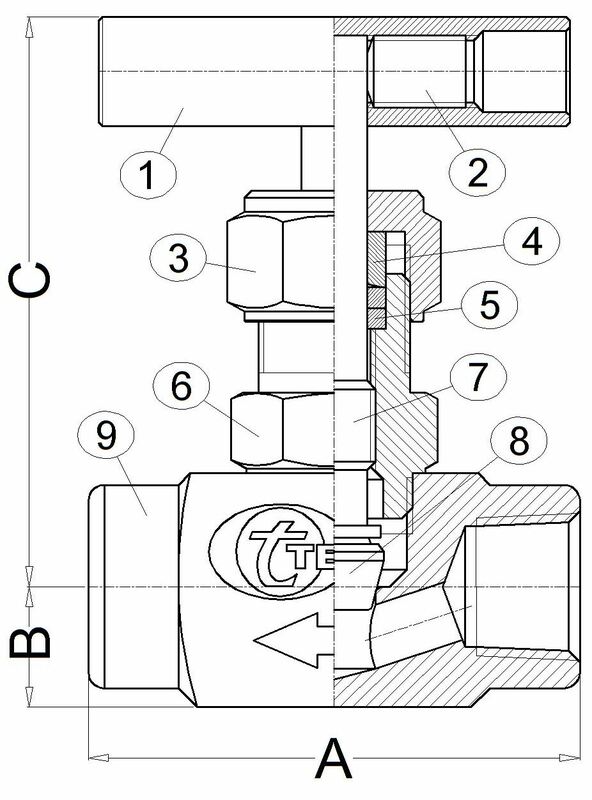 TECVAL CP-01 needle valves are designed to work with liquids under both high pressure and temperature service. The back-seat allows a free packing change while the valves are in service. They are for use in chemical plants, water treatment plants, refineries, laboratories and gas companies, as well as in the general industry. Free packing change in service. Soft movable stem tip in Kel-F.
Grafoil packing for high temperature. 5 Packing P.T.F.E. P.T.F.E. P.T.F.E. P.T.F.E.